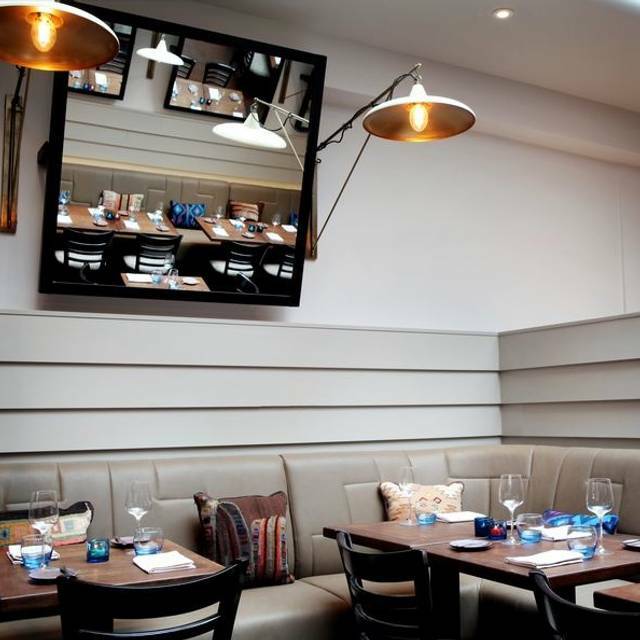 You must make bookings at least 5 minutes in advance of the time at Lima London. 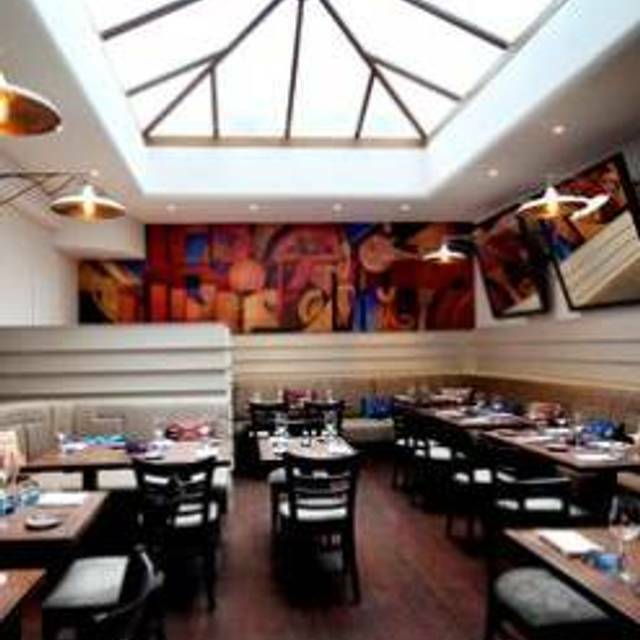 5 minutes walking from Goodge Street and Tottenham Court Road tube stations. 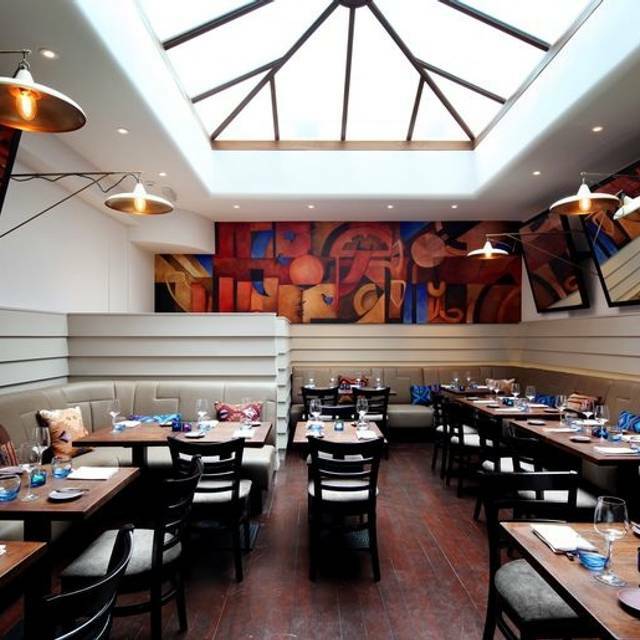 LIMA is available for exclusive private hire to celebrate your event in the Sotano, located in the lower ground floor of the restaurant with its own fully stocked bar. We want your experience at LIMA to be unique. 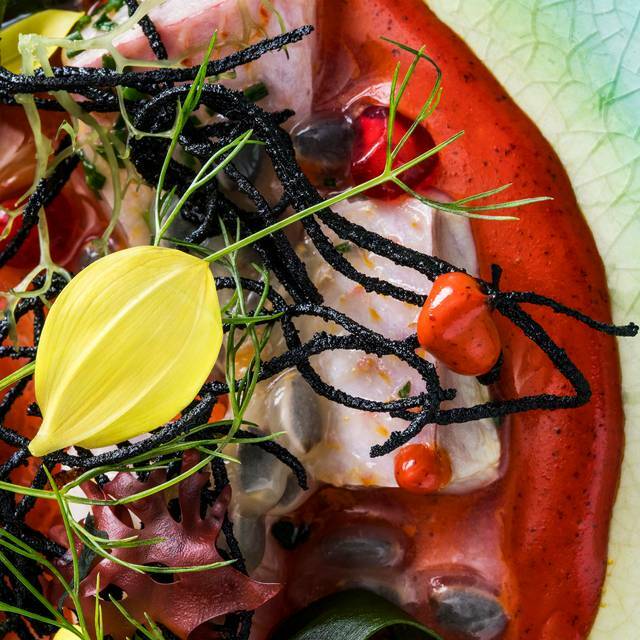 The exciting flavours created by Head Chef, Robert Ortiz and Virgilio Martinez (Executive Chef and ranked #5 in the World 50 Best List and #1 in Latin America's 50 Best Restaurants list) have won us many happy customers. And while our diners are most important, we have had many favourable reviews from critics (“An almost unimprovable meal” – Matthew Norman, The Daily Telegraph) and numerous industry awards. Please note that children under 12 are welcome in the restaurant until 7 pm. Fresh Prawns, Rocoto Chilli Pepper, Spring Onions. Avocado, Sweet Potato, Aji Limo. Ginger, Soy Sauce, Samphire, Organic Radish. Fresh Mango, Seaweed, Rocoto Chilli Pepper. Fava Beans, Beetroot Tiger's Milk. Coconut Tiger's Milk, Cassava Crisps, Kaffir. Fragrant Coriander Pesto, Hot Sesame Oil, Ginger. Cow's Milk Cheese, Huancaina Sauce. Sea Asparagus Tempura, Aji Mirasol. Crispy Potato, Andean Chilli Sauce. Yellow Potato, Fresh Diced Avocado. Corn, Feta Cheese, Artichoke Crisps. Creamy Wild Mushrooms, Thyme, Chillies. Corn, Braised Beef, Sultanas, Quail Eggs. Corn Cake, Fresh Ricotta, Kiwicha Cereal. Yellow Tiger's Milk, New Potatoes. Sundried Potatoes, Cashew Nuts, Eucalyptus Yoghurt. Pumpkin, Goats Cheese, Nuts and Seeds Salsa. Hot Ceviche, Citrus Tiger's Milk, Braised Onions, Algarrobo Gnocchi. Asian Flavours, Olluquito Potato, Yellow Chillies. Crispy Polenta Cake, Egg Yolk. 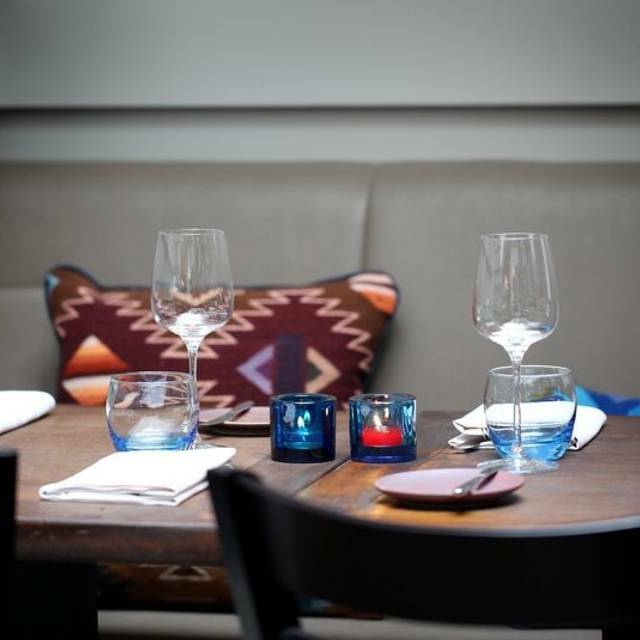 At weekends the Lima Recommends menu becomes the lunch offer at £45pp. Expensive food and not much of it. Slow service and the resto was half empty. Disappointed I’m afraid. No one knew about gluten and dairy free options so I was left having to figure it out myself and left hungry. I had such high expectations of this restaurant, and although the food was delicious it just didn't stand up to its hype. Overall, the food was cooked very well, flavours were unique and seasoning on point. The savoury courses win hands down! The service though, was quite lacking. When we pointed out that there were A LOT of bones in our £40 (service charge incl.) black cod, our server didn't apologise at all. When we mentioned it a second time to the hostess / manager, she did apologise but explained it away as "the kitchen staff might not get all the bones". If it were a couple of tiny bones, we'd be happy to let it go. But to have so many LARGE AND SMALL bones from a £40, palm-sized fish, we think it's quite unforgivable. As we went on a Saturday night, the kitchen was quite swamped so we had to wait quite a while between courses too. Great place to stop after two weeks traveling the UK. Food was fun and not too heavy. The staff was easy and responsive. Wonderful! Not just "good, or even just "great", this was a fantastic restaurant. 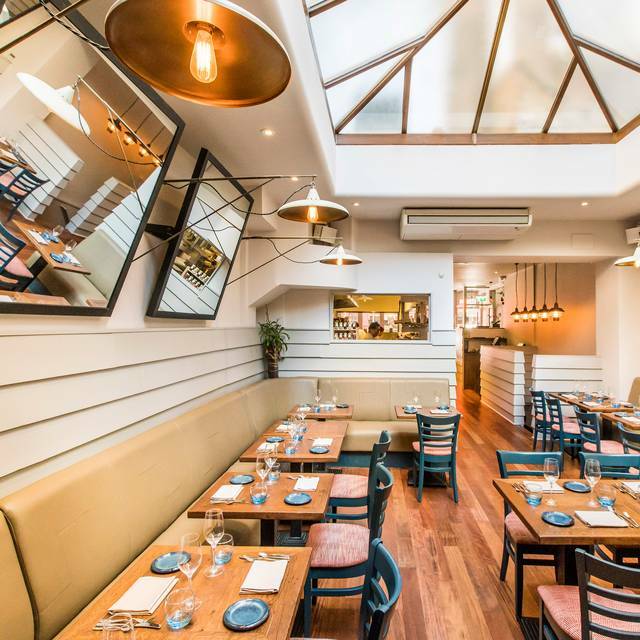 Lima is a small and unassuming restaurant with exceptionally inventive and well prepared food. The flavours popped without being over the top, and everything was well balanced. Presentations were inventive and pleasing. Service was prompt and and professional. Not to be missed! We had the peruvian experience. It took an hour and a half to get through 4 courses of 8 at which point we asked to end our dinner. The waitress claimed that it is a 2 hour experience and that this information is on their website. I checked the website and it is not. I also suggested that it may be helpful to be told that it is a 2 hour experienve before ordering. Apart from that the food was very good and the service was friendly. Thanks Open Table - shoved in the basement by the lavatories. Dark, dingy. Couldn't see the food. The pig and the beer were good. Everything else nondescript and of odd or poor taste eg pate type dishes and the chewy, fatty lamb. 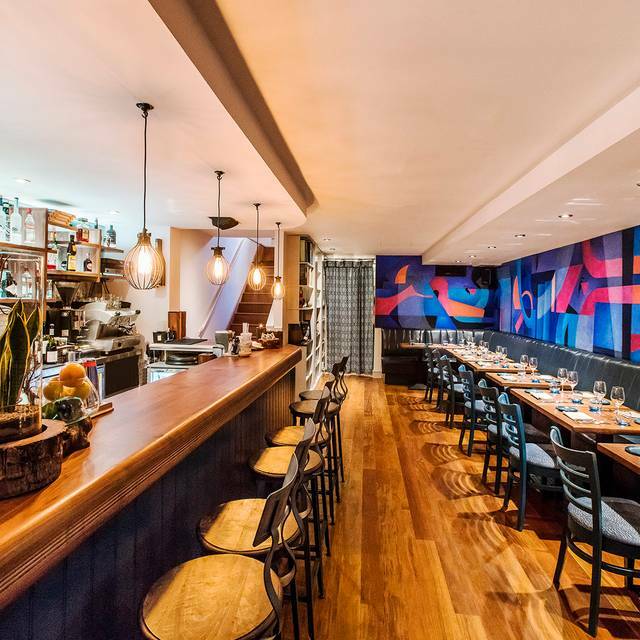 Riding the Peruvian wave but not in the same league as other Peruvian restaurants. Horrendously expensive due to small plate rip-off. Happy to have quit early, not happy with the 12.5% service inclusion and re-emerged onto the street into the sun light. Never again. Wonderful Peruvian modern dishes. The flavours, from starters to desserts, made me very happy. As it happens when I eat in outstanding restaurants, I almost cried. Thanks! ¡Gracias! First of all the food was amazing and I can see that the restaurant‘s focus is on that and the quite high prices come from really good quality. However the ambiance is nice but nothing special and reminds more of a regular restaurant rather than a high end restaurant and the service was diorganized. We had this lovely waitress who was amazing but then this guy kept coming to our table to ask us the same questions our waitress has already taken care of- so it was a but awkward. Great evening out with friends. Never tried Peruvian food before and it turned out to be very tasty and well presented. To dishes did not arrive. Server did not even apologize. Loved everything about Lima London! Amazing food. Amazing staff and I would go back again and again. The food was great, the service was not attentive and the ambiance was loud. 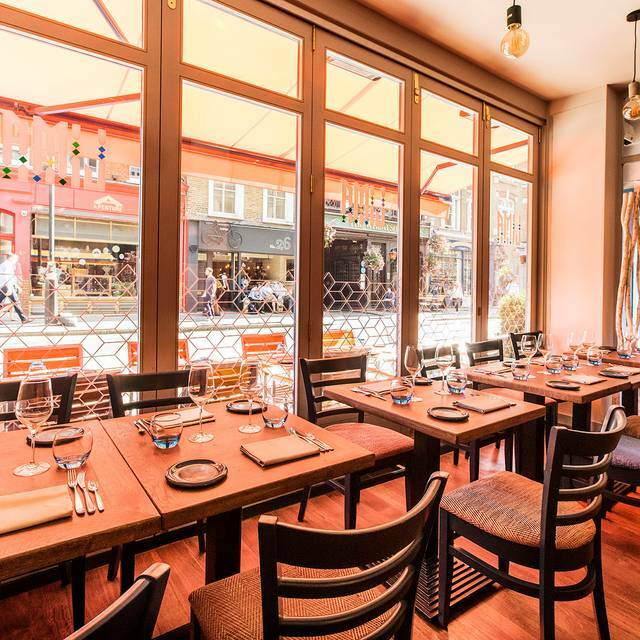 The best Peruvian experience in London! I would recommend ordering as for a sharing concept. Hot Salmon ceviche is a must! Fantastic meal with attentive staff, the pisco sours are very nice! Unusual flavours but lovely. Great service with a smile. Lively bright restaurant. Good cocktails. We took a a reservation at 9.45 for my birthday, our order it’s been taken at 10.20. Food was absolutely amazing, but the service not. We didn’t felt really considered, the waiting staff was always stand at the entrance and sometimes was difficult to get their attention. The issue that we had was the fact that nobody let us know that the kitchen was closing at 10.30 and after the main we couldn’t order dessert. If we knew it before we could order in advance. Also when we order coffee seems like a problem as well, but we get it at the end. If the late reservation was a problem for the staff probably was better that someone ask us to come earlier. Food was really good but service was a bit slow. Not really a traditional peruvian restaurant. Our first visit to Lima on the recommendation of a friend and very glad we went! Food is delicious and looks so pretty! Service was very efficient and friendly and our waitress was very helpful in explaining things. Will certainly be going back soon! I have wanted to try Lima for some time and was surprised at how easily I could get a table for two at short notice on Saturday night. The cocktails were delicious, and exotic, I certainly felt I was on a culinary journey throughout the meal! We opted for the 8 course "Lima recommends", a delicious mix of meat and fish courses, well balanced and beautifully flavoured with Peruvian herbs. My particular favourite was the tuna and cod tartar, and the final course of beef was divine although the stir fry veg dish on the side was tasty, it was also served with some sort of root veg chips which I think were surplus to requirements. The other courses were much more refined. Still had room for a delicious dessert, a parfait with Baileys was a fine way to end a very enjoyable meal in a pleasant atmosphere. 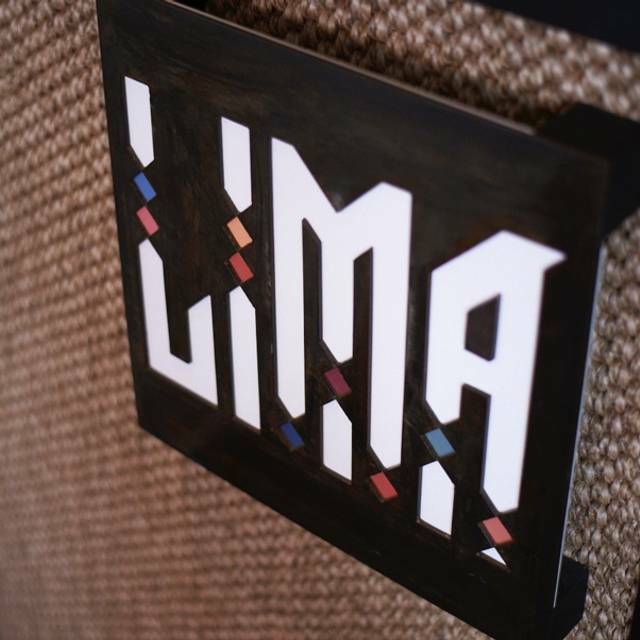 When I saw that Lima has lost it's Michelin * I was in two minds about my choice, however I am pleased to recommend Lima based on my recent experience. Service was friendly, a little haphazard at times but not bad by any stretch of the imagination. They were busy but not chaotic. Arrived 20 minutes early and told we had to be squeezed in even though there were empty tables upstairs. We were taken to the back of the restaurant by the scullery where there was a draught and staff walking past us. We waited for 10 minutes before anyone offered us a drink and were considering leaving. We asked to move and we were moved upstairs where the empty tables were originally. The tables are all squashed together like sardines so do not be suporised if you cannot hear each other due to the conversations from other tables. We were not asked if we wanted a drink so we orderd food and drink at the same time. We ordered 2 glasses of veuve cliquot from the drinks menu but the waitress did not know what this was even though it is the drinks list. The food was very good and we ordered 2 more glasses of the same champagne that never arrived but we were charged for on our bill. No dessert as we wanted to get out. Not intimate, poor service which overshadowed the great food. The staff was wonderful. The reception helped me charge up my phone (I was running very low on battery and needed it to navigate London). The waiter was wonderful explaining the dishes to me. The food as ever, was stupendous! I ordered my usual favourite Sea bream cerviche and it did not disappoint. I may have read the menu wrongly but I thought the burrata and organic chia salad had asparagus shavings but did not see any on my plate. You are one of my fav restaurants in London and the staff’s attitude made it perfect. We eat upstairs on the main floor, next to the kitchen. The restaurant did get a little loud when it was at full capacity, which is my only complaint. The food, service, and drinks were amazing. Great value 100 GBP for 6 courses with drinks. I will be coming back in the future. Thanks Lima for a great time. I was really disappointed with my experience. I was told many good things about Lima, but the food was disappointing and we had to wait a total of 2 hours for our meal. Valentine’s Day dinner with our adult daughter and partner. The food was excellent. We ordered the Lima menu and added a few selections. The pisco drinks were very good. As expected the service was strained because of the very busy evening. Entirely worth the wait. Highly recommend the food. Would love to see even more ceviche on the menu.